This object is currently on display in room 101. See our image rights statement. This is a Digital print. It was manufactured by Maharam. It is dated 2014. Dutch graphic designer Karel Martens devised a system of multicolored icons to reflect his experiments with overlapping colors and forms. 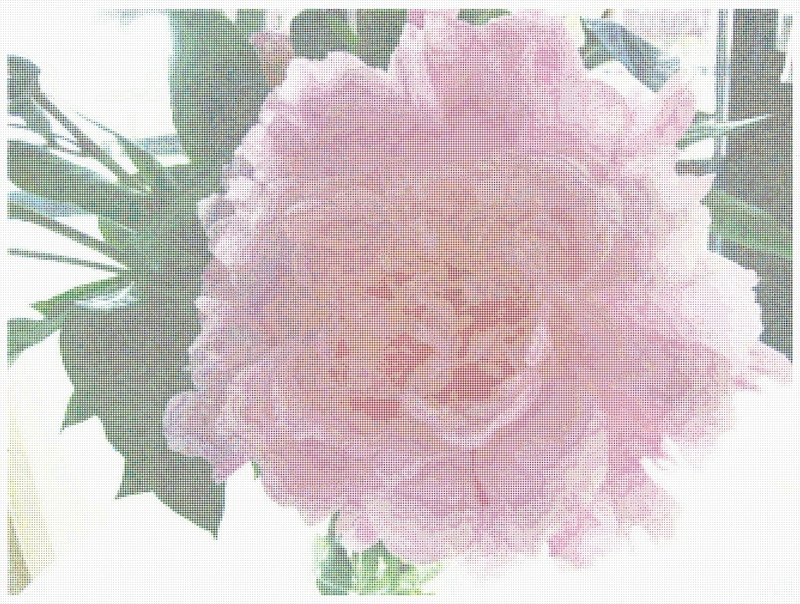 Thousands of these patterned pixels are algorithmically arranged to create the massive peony seen on this scalable wallpaper. It is credited Courtesy of Maharam.